List of DSLR cameras that are available and not connected. 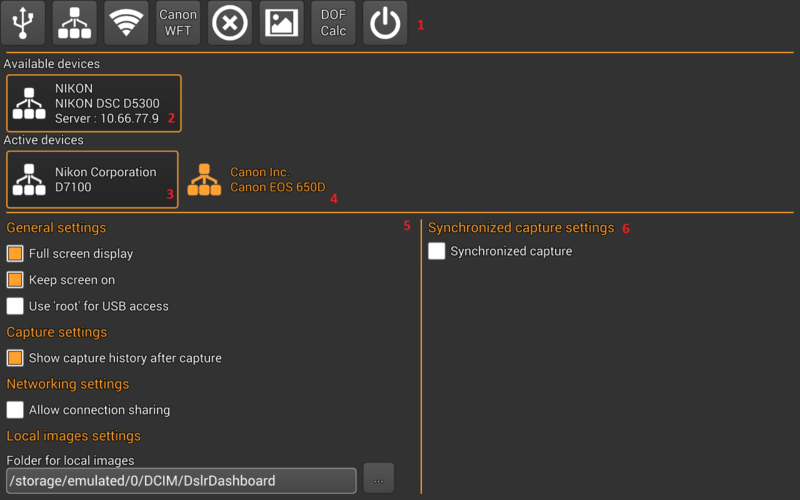 To establish a connection with the DSLR connection press/click it. List of connected DSLR cameras. To switch to this DSLR camera press/click it. Pressing/clicking will make this DSLR camera as the active and will switch to camera control screen. The currently connected and active DSLR camera. To switch back to camera control screen press/click it or press the Escape/Back (Android) key.